James McGuire has a dream. He wants to become the president of Guinam and free his people from the military rulers who have been in power up until now. However, one thing stands in McGuire's way: his past. And it's beginning to catch up with him, endangering not only his career, but the life of his long lost daughter. McGuire hires the City Hunter, Ryo Saeba and his partner Kaori to protect his daughter Anna, who herself is a Secret Service agent assigned to bodyguard the presidential hopeful. Watch City Hunter: The Secret Service Episodes Online at Animegg.org. 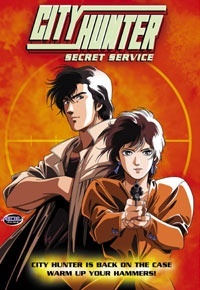 City Hunter: The Secret Service is available in High Definition only through Animegg.org. Choose an episode below and start watching City Hunter: The Secret Service in Subbed & Dubbed HD now.